One of the most fun and frequently visited destinations for student class trips in Florida is St. Augustine. The nation`s oldest city is rich in history and culture. Educational Tours takes more student tours to St. Augustine than almost any other student travel company. Florida is our home and St. Augustine is our backyard. Let our team organize your class trip to St. Augustine for the best experience possible. 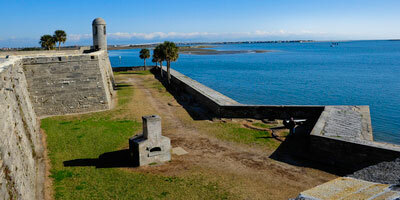 Here are just a few suggested Educational Tour packages to St. Augustine. We can also customize an itinerary to meet the goals of any student class agenda. 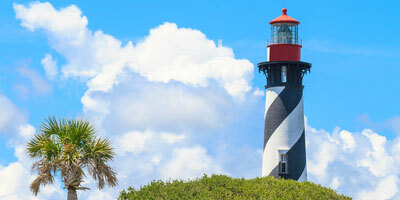 Take your class to St. Augustine, the nation`s oldest city for an intensive one-day trip. Experience Florida Spanish history, the famous Castillo de San Marcos Fort, Pirate & Treasure Museum and more. Walk the streets in Old Town and get a feel of life as it was in the 1800`s. A must for history classes. 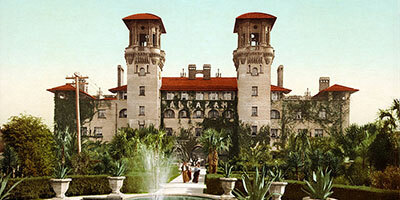 Our three day St. Augustine trip offers many optional adventures. Add a visit to Ripley`s Believe It Or Not Museum. Tour the Old Jail. Take a guided ghost tour. Visit the Fountain of Youth. Experience the city from the waterfront with a Scenic River Cruise. Or expand the tour to include NASA at Cape Canaveral. Add an overnight stay and extend the experience to take in even more of the historical and cultural sites in St. Augustine. Allow more time for students to explore the Fort, climb the lighthouse stairs, and take an extended Trolley Tour around the city. There is so much to do at Florida`s top educational destination.